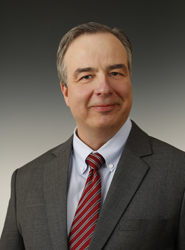 Joseph P. (Joe) Marushack is president, ConocoPhillips Alaska. Marushack began his career with Phillips Petroleum Company in 1982 as a staff engineer in Casper, Wyoming. He has held numerous oil and gas operating and commercial leadership roles in upstream, refining, treasury and planning groups. In April 2015, he was named to his current position following previous roles as President, ConocoPhillips Canada, and President, ConocoPhillips Asia Pacific and Middle East. In these roles he managed operations in Canada, Australia, Indonesia, China, Malaysia, Qatar, and East Timor. These operations include oil and gas production, development, projects and LNG. Marushack currently serves on the boards of United Way of Anchorage, The Nature Conservancy Alaska and Yellowstone Forever. Marushack was born in Norman, Oklahoma and is a native of Rock Springs, Wyoming. He received a Bachelor of Science degree in civil engineering from the University of Wyoming in Laramie in 1980 and a Master of Business Administration in 1982 from the University of Utah in Salt Lake City.